A foreclosure, by definition, is the legal process where a lender tries to recover the balance of a loan. The borrower has stopped making payments and therefore has to give up their house as collateral for the loan. 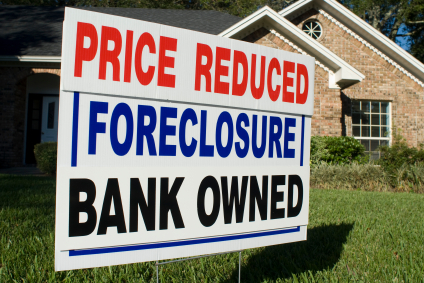 Foreclosures have list prices that are usually lower than the market price, which makes them attractive to acquire. However, there is more that goes into the process then you think. Everything you know about buying real estate does not apply in this special circumstance. Before you jump on the next good deal in Madison, make sure you have the right knowledge about foreclosures. First, the owner defaults on their mortgage. It is impossible to make regular payments. Secondly, the bank that owns the mortgage forecloses on the house. The property is now bank owned or real estate owned (REO). Third, the bank or REO has the responsibility of selling the property even though they could be across the country. Lastly, if an offer comes through, it will likely need approval from a number of people in the hierarchy of the company. Negotiations and transactions will take much longer than the usual. In Wisconsin, once the process is started, a foreclosure takes anywhere from 11 to 18 months before it even reaches the real estate market. You do not want to get into this process alone. Real Estate Agents that have experience in the process of buying foreclosures, like Lynn Holley Real Estate Group, will make the process easier, if not faster because of existing relationships with bank officials. Usually, with buying or selling homes, a seller’s disclosure is required to prevent the seller from hiding problems with the home. The rule differs for a foreclosure. Foreclosures are sold as is, and the bank may have no knowledge of the home’s condition. The inspections could potentially give you leverage to reduce the price. The bank is not going to make any repairs themselves. Most foreclosed homes are not occupied so they are left uncared for for an long extended period of time. There will be clean-up and work to do, because this is not going to be move in ready. If you have the right group of people working with you and you have the right expectations, it is likely that you will be able to find a house that you can make your dream home in no time. Foreclosures do pay off because once you move in, there will be an automatic increase in equity. A foreclosure is one way to get a great deal on a house, as long as you are prepared for the challenge! Want to learn more? Contact Lynn Holley Real Estate Group at (608) 219- 8955 or email lholley@kw.com. We can answer all of your questions.